Consumer behavior has always been one of the major factors that marketers consider when trying to sell goods and services. It pays to know your customer so an effective strategy can be planned to achieve expected returns. And for each nationality around the world, buying habits differ due to a number of factors like age, cultural influences, and their access to technology, which can ultimately dictate how they spend. To give marketers an idea how this works, let us take a close look at the spending habits of the folks in the United Kingdom. For example, while brand loyalty is often earned with difficulty, 65% of UK shoppers identify themselves as ‘a loyal shopper’ who prefer to shop with retailers they’re already familiar and have experience with. This statistic is slightly higher than the 61% of customers globally saying they are loyal to specific brands or products. 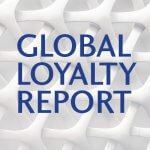 In findings from the Global Loyalty Report 72% of global consumers said they’d buy from a retailer with a loyalty program over one without. 67% said they shop more frequently and spend more at retailers with loyalty programs. British consumers are known to respond well to advertisements, which can make it easier for marketers to influence their decision and make them buy whatever catches their fancy. Surprisingly, they are also careful spenders since they are more pessimistic about their futures with a pragmatic approach to everything. This kind of attitude has prompted them to spend more on experiences centered on food and leisure, rather than consumer goods. And if they do shop for products, a larger percentage does it online than visit a physical store. This spending trend has seen a boom both in the restaurant sector and the hotel and travel industry, with a slight downturn on visits to the shopping centers also due to the rising popularity of online shopping. And with the millennial, who are considered terrible savers with their bad spending habits, taking up a huge chunk of the consumer population, their generation is a more attractive demographic to target. It’s important for marketers to understand the different customers they serve and to customize their messages. Leveraging customer insight will not only help marketers streamline their campaigns, but also stay up-to-date with ever-changing consumer expectations and improve customer lifetime value. Max Baumber (cm-brand.co.uk)- Max is creative, passionate and proactive. He’s been helping marketing and agency professionals for the last five years, to achieve their marketing goals by using creative merchandise and promotional products. Laid back but keen and able to deliver quality branding solutions and advice to clients no matter how big or small their project.